The Volkswagen Polo is a hatchback from the German auto major the Volkswagen. Seeing the popularity of the mini SUVs in the Indian market the Volkswagen India Private limited had decided to try their luck in the crossover segment. The Volkswagen Cross Polo with an added boot of 284 litres launched in 2013 has been updated in July 2014. 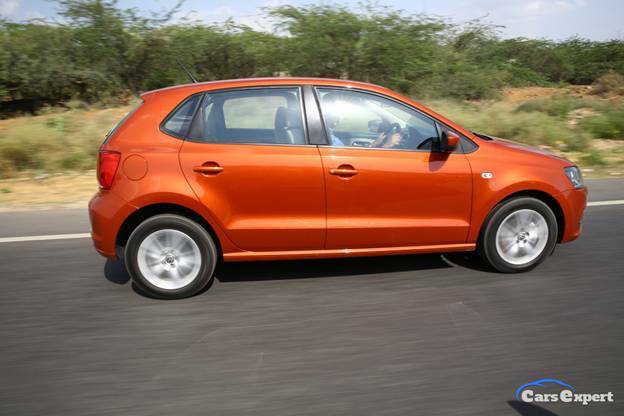 The Cross Polo is primarily a hatchback designed with some features of the SUVs. This sub-4 metre vehicle has more cargo carrying capacity than the hatchback Polo. The Cross Polo comes in 1 petrol and 1 diesel variants with manual transmission only. The 1.2 MPI petrol variant is priced Rupees 7.08 lakh and the 1.5 TDI diesel variant is priced Rupees 8.38 lakh. The Cross Polo is the most stylish crossover with the features of an SUV like the extra plastic claddings all around, silver shine roof rails, fog lamps at the front and the rear and the Cross Polo badges below the rear doors. A front grille with chrome accents, unique rear bumper with silver accents, halogen head lamps in black finish, a rear defogger, a roof antenna and electric ORVMs give the car a trendy look. 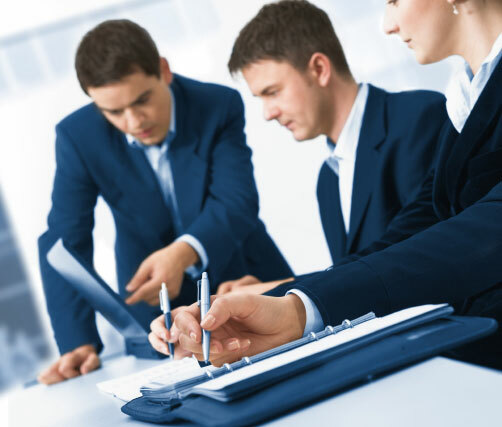 The Volkswagen has given utmost importance to the safety and the comfort of the passengers. The cabin of the petrol variant has features like 2 air bags, ABS, an automatic AC, tilt and telescopic steering column, leather wrapped steering wheel, partially folding rear seat, electric ORVMs and a 2 Din music system with Bluetooth connectivity for telephony. The diesel variant has additional features like rear parking sensors, body coloured ORVMs and Bluetooth for audio controls. The 1198 cc, 74 bhp and 110 NM torque petrol engines give mileages of 16.47 kmpl. The 1498 cc, 89 bhp and 230 NM torque diesel engines give mileages of 20.14 kmpl. The suspensions are McPherson strut with stability bar at the front and semi independent trailing arm type at the rear. The R15 alloy wheels have disc brake at the front and drum type at the rear. 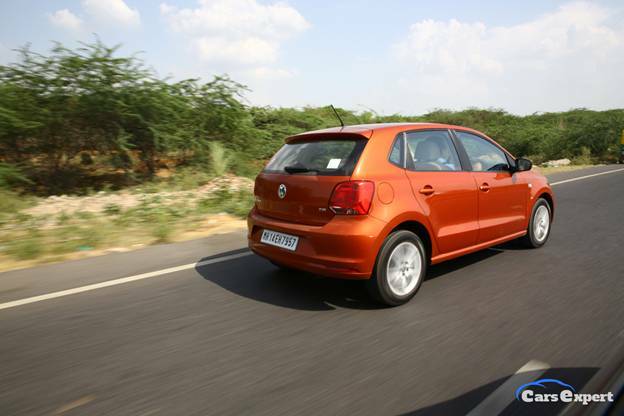 The build quality and the ride and handling are good for the Cross Polo. The availability of more variants and a better ground clearance would have been more advantageous and the car is ideal more as a city car.